Not all in life (or in this blog for that matter!) is about crafting and domesticity (if that was ever present here… humm!). Some of it is about lazy Sundays on the south coast of the UK, enjoying Brighton and its funkiness! 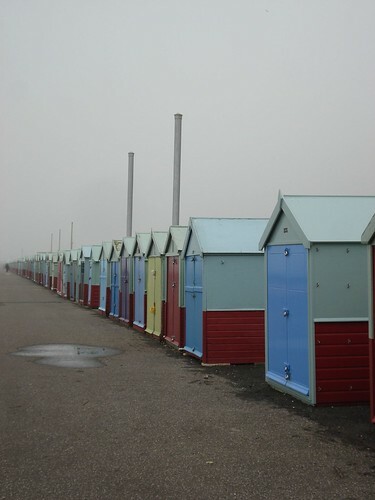 Inspiration can be found all around us and this gloomy, yet cosy, day on the beach proves just that – so much colour hidding underneath the fog as if it were shy! It makes me wanna go home and sew things in soft colours to warm me in cold summer days on this island that I’m growing to love!